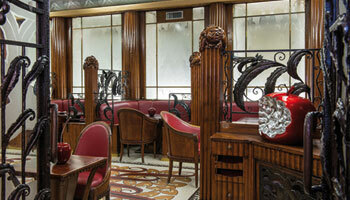 Relax and soak up the Parisian lifestyle at the restaurant of our 3-star hotel in Paris. Our teams look forward to serving up a real epicurean treat in a Belle Epoque atmosphere. Relax in the jazzy ambiance of our bar, listed as a historic monument, while sipping your cocktails in the Art Deco ambiance of the Roaring 20s.